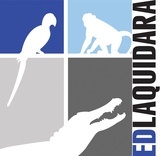 EdLaquidara.com offers much more than just a campus activity. Our programs and lectures are designed to open the minds of students and help them discover a wide range of topics including Climate Change, Wildlife Conservation, Animal Rights Issues, as well as motivational lectures such as Being The Best You, Defining Success, and Living A Successful Life. All of our formats are interactive and involve our elite animals. 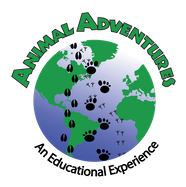 In addition, your students will learn that we are one of the only Animal Rescue options in the North East, and that the proceeds of our visit to your University or College helps our cause to feed, shelter and rescue more exotic animals. During this session, student and faculty will have the chance to meet, interact with, and ask questions about, a variety of animals. There is also plenty of opportunity for pictures! This program is three hours long and includes two handlers. During this program, the first 60-90 minutes will focus around explaining the basics of each animal; what it is, where it is from and so on. The second half of this three hour program will be a Q & A format. Ed and one other handler will set up at tables and open up to questions, allow the animals to be pet, and provide plenty of picture opportunities. This Q & A allows for a more in-depth questioning, as the basic questions will have been answered in the first half of the program. This includes a stimulating 90 minute lecture on any topic and 90 minutes of interactive Question & Answer period with the animals and handlers. All of our University and College lectures includes any 10 of our elite animals as well a one of our premium lecturers and premium animal handlers. The experience the students get from the lectures and interactive portion of our program always makes EdLaquidara.com a favorite Campus Activity among the students and faculty. Our exhibit format is designed as a walk through experience with 2 to 4 stations set up with different handlers to exhibit our unique animals. All of our University and College programs include any 10 of our elite animals. This format gives the students the flexibility to spend as much time with the animals that interest them the most or experience them all. This format is based on an open door 3 hour walk through. Of course our main focus is to find creative ways to fund our rescue center. This means we have the flexibility to work with Universities and Colleges to create customized programs to meet your needs. We've done adaptations of our 50/50 Lecture, our Exhibit formats and even our selection of animals to fit Family Fun Days, Cultural Days, Campus Events and many other activities. If you have a vision we'd be more than happy to discuss how to bring it to life for your students. Our programs are now available for collegiate audiences outside of the northeast region. 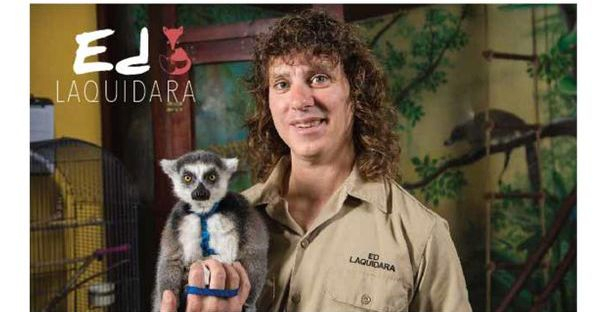 Any of our listed programs above, or even a presentation catered to your field of study or interests, can be streamed, live, to your institution, where we can provide an experience featuring several exotic animals, even if you are hundreds of miles away. This program works very well for academia located in rural and city areas without a local animal education provider or zoo. This format also provides the opportunity for ongoing question and answer with our professionally trained, presenting zoo-keeper. Students and faculty can ask questions about the animals while the program is in process. We can work with Google Video Call, Skype, or any other number of streaming options – just let us know what you’d like to use. *Travel and expenses will be added after 50 miles. Overnight stays will require additional hotel charges. *Animals are subject to the way they feel the day of the presentation. We will do our best to communicate with you the day of the presentation for a substitution if needed.